Justin Barcia, one of the most popular motocross and supercross riders on the planet, is pleased to announce the launch of his new website at www.justinbarcia.com. Powered by Hookit, the site provides an easy way for Barcia’s fans and sponsors to follow his posts, photos and updates all in one place. Barcia is part of the new generation of racers who grew up in the digital age. He knows the importance of making a professional, yet interactive digital channel for fans to interact with his racing career. “Self-promotion and taking care of your fans are just as important as having the right team, sponsors and trainers these days,” said Justin Barcia. “I appreciate everyone’s support and am just pumped to finally have a place to talk to my fans and promote my team and sponsors.” Now living in a “you tweet it and they will follow” era, JustinBarcia.com is the first pro athlete website that has incorporated content and activity from all his social channels mixed into one destination. JustinBarcia.com is the only place for fans to follow his tweets, Instagrams, videos and results and never miss an update. Content will be posted by Barcia himself, as well as his sponsors and fans. Fans can expect exclusive monthly giveaways from Bam Bam and his sponsors. The layout is fun and easy to navigate with a look that matches the riding style and personality of Bam Bam himself. Go to www.justinbarcia.com to follow Justin and wish him luck at Anaheim 1 this weekend! About Justin Barcia Justin Barcia is the defending AMA Supercross Lites East champion and will contest the premier 450 Supercross class in 2013. Barcia lived up to his nickname “Bam Bam,” letting nothing block his path to the front of the field and the top of the standings. He turned pro in 2009 and was second in SX and fifth in MX in 2010, his first full season. He began riding dirt bikes at the age of 5 and started racing at 7. During his days racing amateur, Barcia won over 25 national titles, 4 came from the prestigious Loretta Lynn’s AMA Amateur Motocross Championship. Barcia was born in Paterson, NJ, and now resides in Greenville, FL. For 2013, Barcia will be riding for the Muscle Milk Honda team and sponsored by Alpinestars, Shoei, SPY, DVS and All Sports Dynamics. About Hookit JustinBarcia.com is powered by Hookit, the most powerful digital marketing platform for action sports. 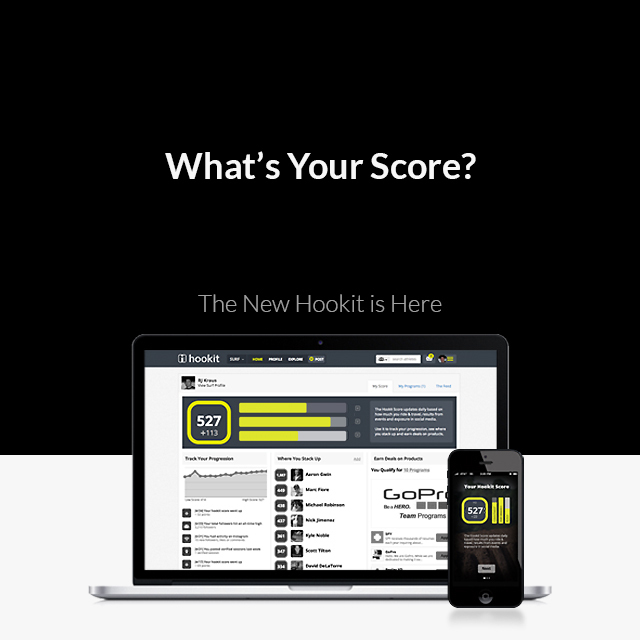 Monster Energy, Dunlop, SPY, GoPro, Recon Tour, Jeremy McGrath, Aaron Gwin, Ryan Guettler and over a million other athletes, brands, spots, events and media partners use Hookit. We exist to support the athletes by plugging them into our growing network. Join the Movement — find Hookit on your phone or www.hookit.com.